TNPSC Group 4 Results 2018 declared online at www.tnpsc.gov.in. TNPSC Group IV Result Marks Declared for Steno/JA/VAO Posts for written exam held on 11 Feb, 2018. Tamilnadu public service commission has announced the final results for the exam Steno/JA/VAO held on 11.02.2018 under the recruitment of TNPSC Group 4. All those candidates who had appeared in this written exam can check their results and marks online through the official websie of Tamilnadu public service commission. All those aspirants who are qualified in this examination, will be eligible to appear in certificate verification phase which will be organized by Tamilnadu public service commission. To check your exam result, visit the official website of commission – Result Online. TNPSC has organized this written exam on 11 Feb, 2018. Now results are declared on its official website. So all the candidates who are qualified in this phase of written exam, will be eligible to appear in TNPSC CCSE Group 4 certificate verification 2018. All the required documents must be ready at the time of certificate verification. If you are unqualified in this exam, then don’t worry or hopeless, you can try again in the upcoming TNPSC Exams for various posts. 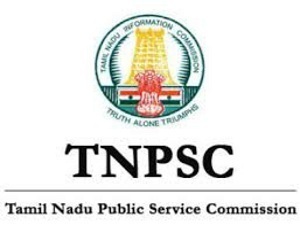 The Tamilnadu public service commission conducted various exam to fill vacancies in government departments of state. If you have any query or facing any problem in checking the result online, then you can comment below, we will try to reply as soon as possible. For other exam results, you can check our website later.